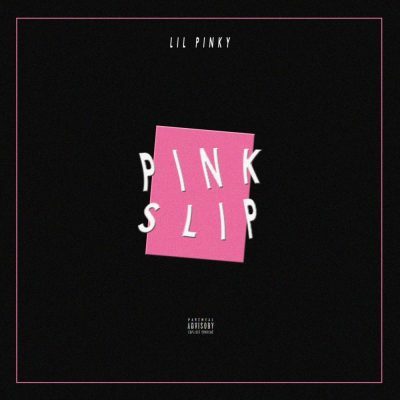 Salt Lake local rapper Lil Pinky is breaking through with his debut album, Pink Slip. The album is well-rounded: Each track is framed with the same style, and Pinky doesn’t stray far from what works for him. Continuity is rare for new artists, as they typically like to experiment with different styles and flows, leaving an EP looking more like a collection of tracks than an actual cohesive work. Pink Slip seems well thought-out and delivers to its listeners with quality content and style. Lil Pinky fills a need in Salt Lake City rap. He embodies new-school hip-hop and rap music, which is rare in Salt Lake City—at least for now. In a locale that seems to prefer old-school hip-hop, artists like Lil Pinky rarely emerge. Pink Slip demonstrates that Lil Pinky has mastered his technique and is able to stay cutting-edge and current within his chosen genre of music. In many ways, he is a “Souncloud rapper,” a term that has become the label for new and taboo hip-hop, especially to those who prefer rap from the ‘90s. Pinky is bold and executes this modern sound well. Editor’s Note: The original version of this article misquoted the lyrics in “White Boy Swag.” The changes have been amended.